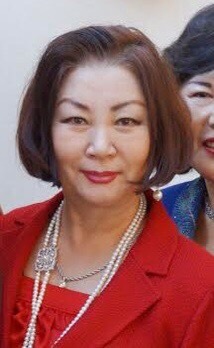 Kim Kwun (founding president) sponsored the first international event in the summer of 2015 in Los Angeles California (in March to be specific). It was a drawing contest and the winning artwork was made into a postage stamp in Korea. 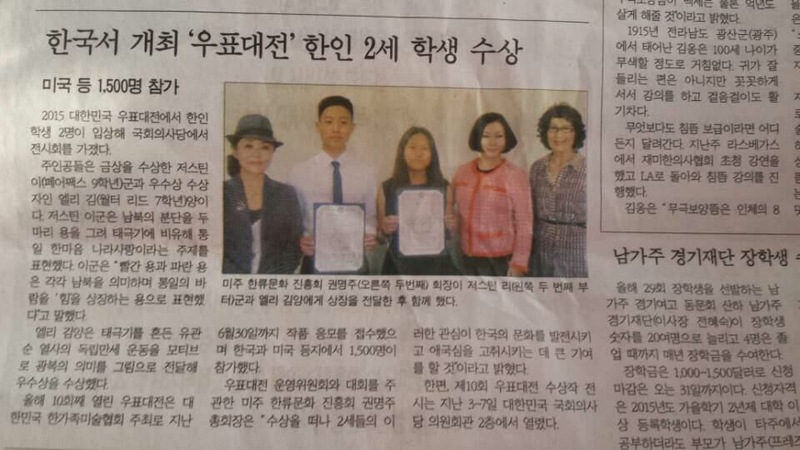 There were 2 winners from the US, and both students traveled to Korea to receive their awards and to witness their artwork being made into stamps. From that sparked the Carolinas branch started by HeOak Lee (see About Us) in February of 2016 in Raleigh, North Carolina. A great central location on the East Coast. 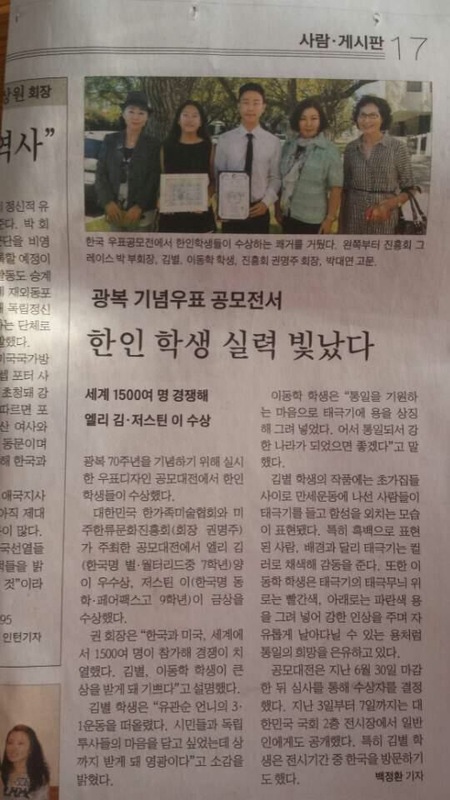 We are educating and sharing the Korean culture by hosting events and supporting other local events such as the International Festival of Raleigh. At KoreaFest, we continue the tradition of an art contest but have also expanded with other contests. We are a self-supporting organization. Korean Wave has become a global phenomenon by way of K-Pop and K-Drama. We want to share the Korean Wave with all who want to embrace it.